If you're in between sizes, we recommend ordering down for an elegant fit. This dress runs big. 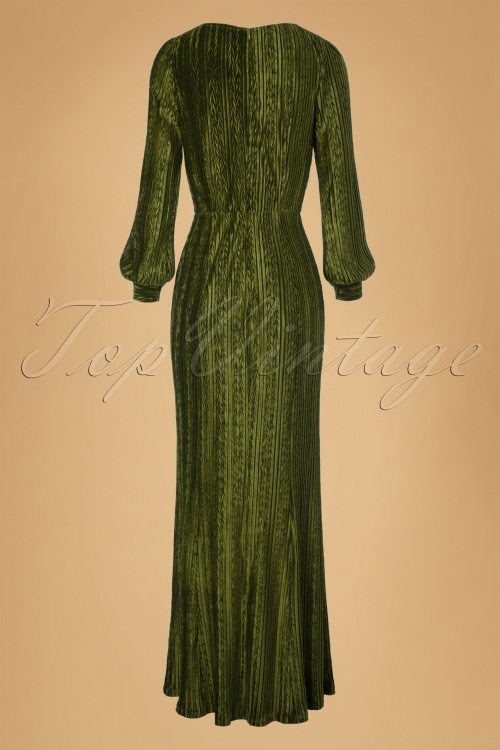 This 30s Olivia Velvet Maxi Dress is velvet glamour to the max! 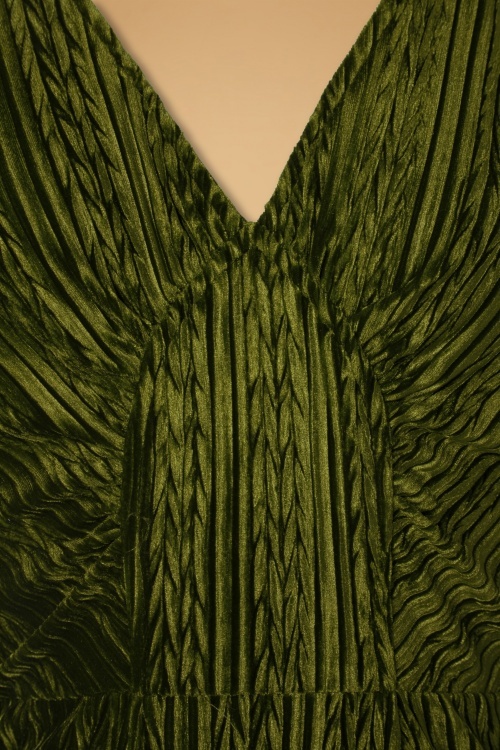 You surely will make an entrance when wearing this maxi! 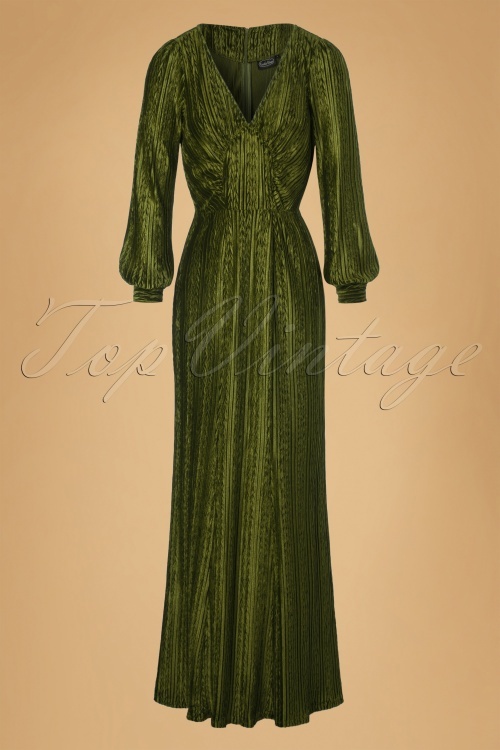 Super elegant V-neckline, gathered bust, long bishop sleeves with cuffs and a classy, sleek full length skirt just like the dresses from the thirties. 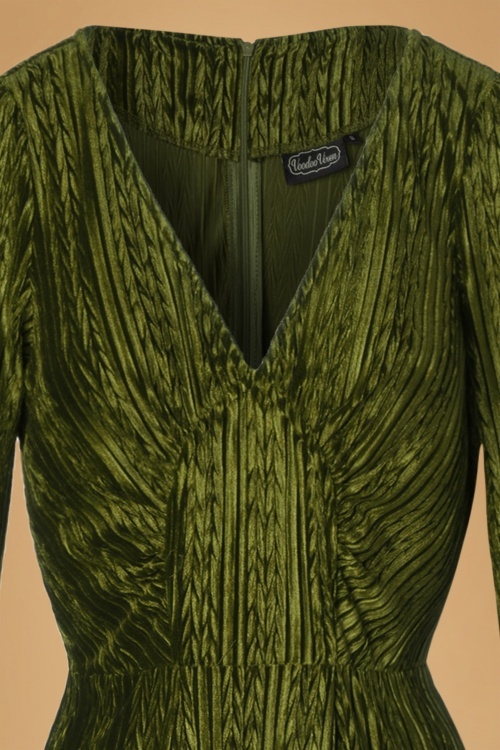 Made from a super soft, olive green, velvet fabric featuring a subtle cable pattern and a lovely stretch. 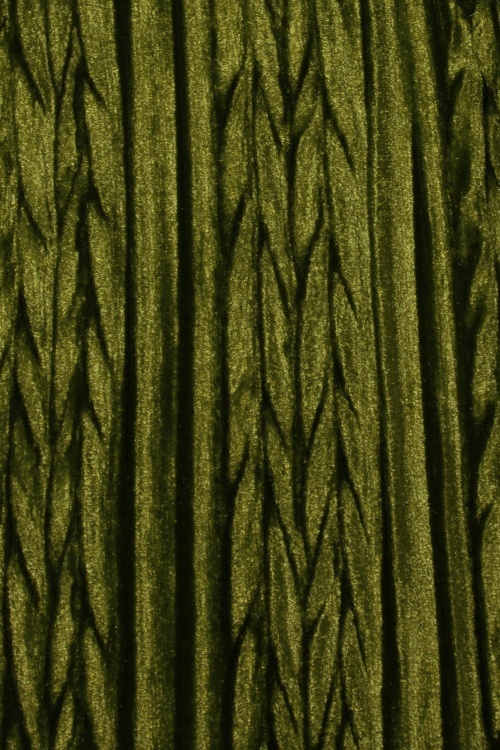 Whether it's the light of the flashing camera’s or from the flickering candles, it gives the velvet fabric a warm glow, just breathtaking... this showstopper is super decadent! Please note; this dress runs large!